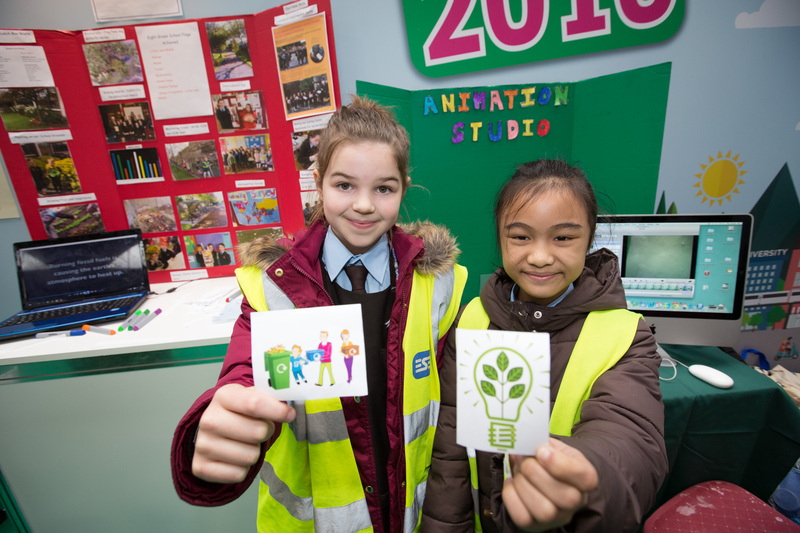 St Joseph’s GNS received the Green Flag for Global Citizenship – Litter & Waste in 2015. The school is located in Clonakilty, Co. Cork and comprises of 221 students and 10 members of staff. A mixture of students from third to sixth class is represented on the committee. They are voted in each year by their respective classes and meet on a monthly basis. Initially the school carried out litter and waste audits, global awareness surveys and researched different nationalities in the school. They investigated what aid items the school supports, electronic waste and where our waste ends up. They further investigated Ethical Consumption and Production, Trade and Fair Trade, Social Justice and Inequality. They established that 32% of students had strong ties with countries spread across Europe, Africa, Asia and America. Litter patrols and Tidy Towns participation. 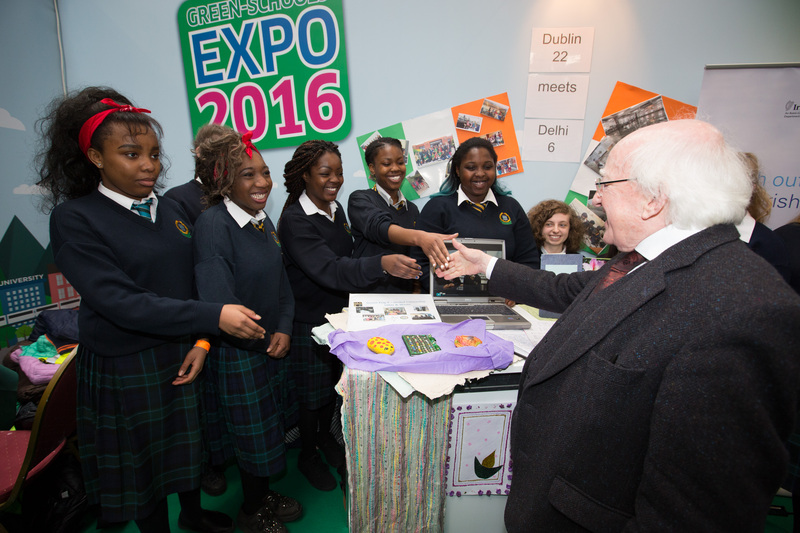 Irish Aid Project: Fair trade products can make a better future for all the world’s children. Red Day supporting cork ladies footballers-how, as global citizens, women often have an inferior role in sport. The committee monitors and evaluates the programme through ongoing survey analysis. It was initially found that senior classes had a poor understanding of Fair Trade products, community cleanups, food origins and the lifestyle of people in poorer parts of the world. Fifth and sixth class were more knowledgeable but had difficulties in making comparisons with children in disadvantaged parts of the world. Over the two years, they made every effort to improve this understanding through competitions, Fair Trade events, Community Cleanups (beach cleanups of Inchydoney, National Spring clean events, helping Tidy Towns keep Clonakilty streets clean during the summer holidays) and researching other countries. The same classes were surveyed the following year and showed awareness levels has increased by over 75%! SPHE: Evaluation of students lunchboxes and food origins, spare paper box set up. Organised an international day; 70 pupils out of a total of 221 claimed strong ties with other countries – the day was used as an opportunity to promote these countries of origin. Each country had its own table in the school hall. As well as items and artifacts, there was food tasting, singing and dancing. The School is kept up to date via the Green-Schools notice board, a “Green Page” section in the monthly newsletter sent to all homes. Can now be changed into clothing and cash. And this is considered a very good deed.